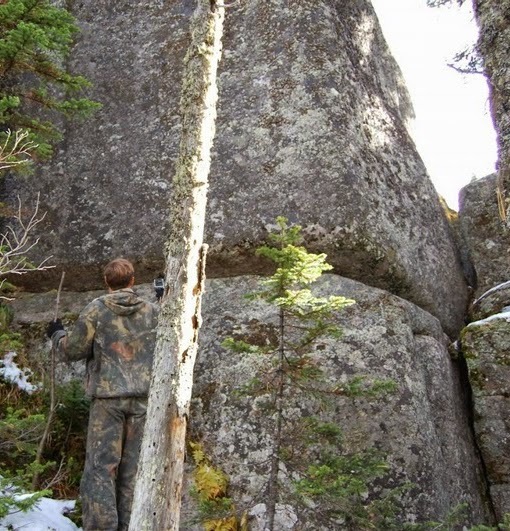 Massive Megalithic Ruins Discovered in Russia Containing the Largest Blocks of Stone Ever Found. An incredible discovery that was recently made in Russia threatens to shatter conventional theories about the history of the planet. 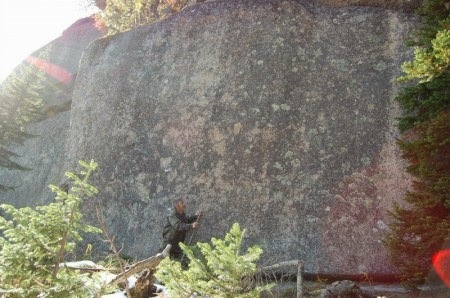 In southern Siberia, researchers have found an absolutely massive wall of granite stones. Some of these gigantic granite stones are estimated to weigh more than 3,000 tons, and as you will see below, many of them were cut “with flat surfaces, right angles, and sharp corners”. Nothing of this magnitude has ever been discovered before. The largest stone found at the megalithic ruins at Baalbek, Lebanon is less than 1,500 tons. So how in the world did someone cut 3,000 ton granite stones with extreme precision, transport them up the side of a mountain and stack them 40 meters high? According to the commonly accepted version of history, it would be impossible for ancient humans with very limited technology to accomplish such a thing. For years, historians and archaeologists have absolutely marveled at the incredibly huge stones found at Baalbek. But some of these stones in Russia are reportedly more than twice the size. Needless to say, a lot of people are getting very excited about this discovery. "Alternate history buffs are about to be whipped into a frenzy! OK, maybe not, but they will find this interesting." 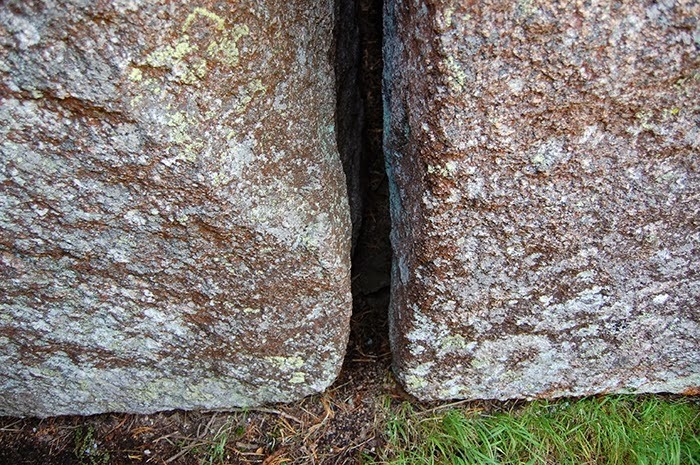 "An ancient “super-megalithic” site has been found in Gornaya Shoria (Mount Shoria) in southern Siberia. "This spectacular archeological site consists of massive blocks of stone, which appear to be granite, with flat surfaces, right angles, and sharp corners." "These huge blocks appear to be stacked up and fitted together, almost in the manner of cyclopean masonry, and well…they’re enormous!" "Russia is no stranger to ancient megalithic sites, like Arkaim (Russia’s Stonehenge), and the Manpupuner formation, just to name two." "But the site at Shoria is unique in that, if it’s man-made, the blocks used are undoubtedly the largest ever worked by human hands." "There are no measurements given, but from the scale depicted by the human figures, these megaliths are much larger (as much as 2 to 3 times larger) than the largest known megaliths in the world. (Example: The Pregnant Woman Stone of Baalbek, the largest single known stone at the archeological site in Lebanon, weighs in at approximately 1,260 ton). Some of these megaliths could easily weigh upwards of 3,000 to 4,000 tons." "These megaliths reach well back into the mists of pre-history, so far in fact, that conjecture about their ‘builders’, methods, purpose and meaning is pure speculation, and as such, I would hesitate to offer any observation at all, other than to say our pre-historical past is richer than we ever dreamed." These stones are likely to remain an unsolved mystery for a very long time. But what is abundantly clear is that according to the commonly accepted version of history they should not be there. And of course this is far from the only site around the world that contains massive megalithic ruins. Evidence continues to mount that very sophisticated technology was used in the ancient world. These megalithic ruins are undeniable reminders of highly advanced ancient civilizations. So who were they and what happened to them? Could it be possible that they were wiped out by a massive global cataclysm such as a global flood? yeah - we know waaayy to little about the past of humanity, and what's more, most of us refuse to even consider possibilities outside of the official story. Nephilim- Number 13:33 And there we saw the giants, the sons of Anak, which come of the giants: and we were in our own sight as grasshoppers, and so we were in their sight. Where in Southern Siberia Altai Republic?